We have recently discussed how to boost our immunity during this cold and flu season through healthy eating, vitamins and other natural remedies. Another answer may be as easy as taking a daily walk or following a simple exercise routine a few times a week. Exercise not only helps your immune system fight off simple bacterial and viral infections, but it may actually decrease the incidence of illnesses such as heart disease, osteoporosis, and cancer. How does exercise cause a boost in your immune system? There are several theories. First, physical activity may help by flushing bacteria out from the lungs (thus decreasing the chance of a cold, flu, or other airborne illness) and may flush out carcinogens (cancer-causing cells) by increasing waste output, such as urine and sweat. Another possible reason is that exercise is responsible for sending antibodies and white blood cells (the body's defense cells) through the body at a quicker rate. As these antibodies or white blood cells circulate more rapidly, they could detect illnesses earlier than they might normally. The increased rate of circulating blood may also trigger the release of hormones that "warn" immune cells of intruding bacteria or viruses. Furthermore, the temporary elevation of body temperature may inhibit bacterial growth, allowing the body to fight the infection more effectively. (This is similar to what happens when the body has a fever.) Finally, exercise slows down the release of stress-related hormones. Stress increases the chance of illness, so physical activity could reverse this factor. While all this is good news for those who already exercise, do not "over-do" physical activity. People who already exercise regularly are cautioned not to develop too vigorous a workout program in the hopes of increasing the immunity benefits. Heavy, long-term exercise (such as marathon running and intense gym training - 90 mins or more) could actually decrease the amount of white blood cells circulating through the body and increase the presence of stress-related hormones. Studies have shown that the people who benefit most from starting (and sticking to) an exercise program are those who go from a sedentary ("couch potato") lifestyle to a moderately energetic lifestyle. A moderate program can consist of daily 20 to 30 minute walks, going to the gym every other day, playing golf regularly, or bicycling with the children a few times a week. So, while we don't know exactly how and why exercise increases your immunity to certain illnesses, we do know that exercise helps. It decreases our chances of developing heart disease and osteoporosis and may help us avoid those nagging coughs and colds. Exercise can help us feel better about ourselves, just by making us feel more energetic and healthier. 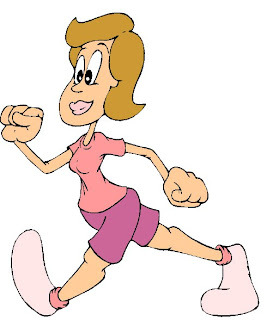 So go ahead, take that aerobics class or go for that walk - and feel better and healthier for it. This is great information... exercise really is a vital part of a healthy life! The best protection against infections, are good nutrition and healthy habits. Thanks for the post.